My film ‘Fahrenheit 4.33’ will be screened on November 10th at the Strangloscope Festival in Florianopolis, Brazil, as part of the Program “Train of Shadows” curated by Verónica Paz – Oscar Álvarez – Jorge Cappelloni. Duo Strangloscope’s films are focused entirely on movement, rhythm, and composition, creating a mutant skin. Duo Strangloscope’s films have been always focused entirely on movement, rhythm, and composition, and we have abandoned the focus on narrative. It is fraught with conscious ambiguities, encourages multiple interpretations, and marshals paradoxical and contradictory techniques and subject-matter to create a work that requires the active participation of the viewer. Experimental films are films that push the boundaries of conventional film making. The experimental aspect could be new and different ways of working with the camera, using lighting, playing with audio effects, scripting or even acting. We started developing our own experimental films because of our interest in working with digital forms, trying to give them some texture by increasing the use of pixels, enlarging the images in its own digital materiality and then mixing digital with films in order to create a mutant skin. “Athanasia” (2017) is selected at 13th International Independent Film Festival of Mar del Plata (Argentina) held from 5th to 12th of August 2017. Throughout its thirteen years of history, MARFICI became a space for the diffusion of unique cinematographic works, which are not distributed through the commercial cinema circuit of the country, but which offer quality of performance, a vision of language Audiovisual or different from the efforts of its filmmakers to show the public a reality that would normally go unnoticed. The Marplatenses find in the MARFICI a screen in which to access all those films that are not normally projected in the city; A window that opens to different cultures and ways of life, harsh everyday realities, inspiring life stories, profiles of outstanding artists, historical documentaries or that address the most important issues of the day. A multidisciplinary team works throughout the year to bring Marplatense cinemas more than 300 hours of independent cinema that is renewed every year, and allows directors from around the world to project their films in Mar del Plata. So glad that film “Athanasia” in collaboration with Musician Rey Eisen is selected at the 14th Muestra De Cine de Lavapiés from 23rd of June to 2nd of July 2017 (Madrid, Spain). The “Muestra De Cine de Lavapiés” is an event organized by a group of neighbors. A week of projections that is celebrated at the beginning of each summer in diverse spaces of the neighborhood. We like to take the cinema to the street. In this project nobody charges, nobody pays, we bet because the desire flows; not the money. A third and a half of the program of the show are integrated works that come to us through this annual call we now launch. We call on all friendly tribes to send us free audiovisual works: experimental pieces, shorts, menhirs, tasty stories, boars, insurgent documentaries, pirate ships and even bards. The IVAHM Festival is held every year in Madrid with the aim of bringing new proposals from national and international artists to the general public. Since its inception, it has the double invited country where different curators from that country are invited to carry out a retrospective on the same. Until the last edition of 2015 we counted on the participation of Colombia, Israel, Sweden, Denmark, Finland, South Korea, Mexico, Italy and Russia. Each year, the IVAHM Festival organizes an international congress with guests from the countries invited around the video as well as talks with the artists. Filmideo is a yearly event, that celebrates the great diversity and work of independent filmmakers and video artists from around the globe. Since 2006, “Filmideo” has been organized as an annual event to promote video and film formats in a fine arts exhibition environment. For over a decade, over 10,000 attendees have been given the opportunity to view a variety of digital media expressing many different narratives and socio-political currencies. “Filmideo” is an open-ended discourse that educates visitors via the multiplicity of narratives as illuminated in the video and film selections presented each year. MADATAC is an independent and non-profit springboard, with an cultural diversity approach for cutting edge experimental and new media audio-visual culture, that particularly values innovation, originality and risk-taking art projects. This unique and leading international event take ‘s place in Madrid (Spain) each December within the city Mile of Art. Our objective is encourage the participation of citizens in the fields of audiovisual art, video art, digital new media art culture and to promote the exchange of knowledge between professionals with collaborative projects which serve as a collective laboratory were artists can present their most recent creations to the greater public, critics, commissioners, scholars from university institutions, curators, collectors, institutions and companies, as well as other trained members the community. This is intended to support and spotlight rising investigations, research work and papers on this field employing new technologies, awarding creative excellence of artists who best fuse in a single work technology and imagination and challenge conventional cinematic narratives, in order to build worldwide networking intercultural bridges between regions, artists and organizations overturned towards the most transforming future art. International Video Festival VIDEOMEDEJA is basic activity of the Video Art Association VIDEOMEDEJA. This is an annual non-profit event lasting for a few days. Festival consists of the competitive program and various accompanying programs which, depending on the current productions and conception, happens on the different locations in Novi Sad and elsewhere. As part of the program, festival focuses on art projects that combine images and sound, advanced communication, objects, in a symbiotic or avant-garde style; of videos, documentaries and short films, digital animation, media installations, interventions in the exhibition area, interactive and robotic objects, url projects, open source applications, live audiovisual performances, electronic music, advanced technologies in artistic practice. Accompanying programs are realized in forms of projections, installations, performances and TV shows broadcasted on both local and national TV stations. Sphinx Award is for the best Video. Bogdanka Poznanovic Award is for the best Media Installation, Live piece, Software, URL. Lunartis Award is for the best graduate film. Depending on the design of the program sometimes there’s Audience Award. Renowned artists, prominent critics, theoreticians, producers, distributors and journalists from all over the world are regular guests of the Festival. The festival is being distributed and promoted in the form of presentations, promotional catalogs, Internet, different mass media in Serbia and abroad. Presentation of the latest video works and new media projects and promotion of innovative artistic forms. Contribution to the development of visual arts production and theory. International cooperation, encouraging intercultural dialogue. Education of students, affirmation of young artists. Raise of the technological literacy of the local surrounding. Promotion of new cultural strategies in relation to the cultural establishment. Demystification of new media and new technologies. Presentation of the new concept of media campaign. In-Sonora is an independent and non-profit project that has positioned itself as an nationally and internationally avant-garde proposal. Thanks to the collaboration between artists, professionals, cultural operators, public and private institutions, and a wide audience. This 10 years of projects will take place with this new edition of the show. From 2nd to March 15 at “La Casa Encendida”, “El Águila”, “Centro Centro”, “IED Madrid”, “Medialab-Prado”, “Joy Gallery” and “Gallery Swinton and Crossroads”. The aim of this biennial show is to expand the visibility of national and international artists, supporting experimental contemporary proposals that sound and interactivity that are key visual elements. The press conference will be conducted by Maite Camacho, director and curator of IN-SONORA, who will talk with the audience about the idea and development of this project which has already more than 10 years of existence. It will be presented the full program of activities that make up this edition and the most important developments. We are delighted to announce that film, “Solar Love” (2015) will be screened at The Museum of Modern Art, Mar de Plata, in Argentina on 12th February, 2016. The aim of the Museum of Modern Art (MAR | Museo de Arte Contemporáneo, Mar del Plata, Argentina) is to assemble a group of productions that have been indelibly associated with the comprehensive and interactive spirit of MAR, with the first works that begin to form part of his collection. Without a script to guide the tour, gives the viewer the task of articulating the universes of each work and set their own itinerary through space. Experimental Film Cycle | International Panorama. Jaime Rguez is pleased to send the invitation for the exhibition ‘ARTE ALTER’ which will be screened to the “12th edition SINEDIE” as well as the continuous projection of selected works “ACTIVA’2016”. This event opens on January 19, 2016 from 18pm. and will be on display until 19 February in the CMAE. Municipal Arts Center & Exhibitions of Aviles, Spain. The term sound-videoArt pretends to give a new concept to the digitalized works in which sonorous-musical creativity and image in video are combined to generate a symbiosis that is shown as an audiovisual canvas in movement. The exhibition is directed by Jaime Rguez and coordinated by Encarnación Domingo with Jaime Rguez . The Municipal Foundation of Culture of the City of Avilés will publish a reasoned exhibition catalog written by Juan Carlos Aparicio Vega. 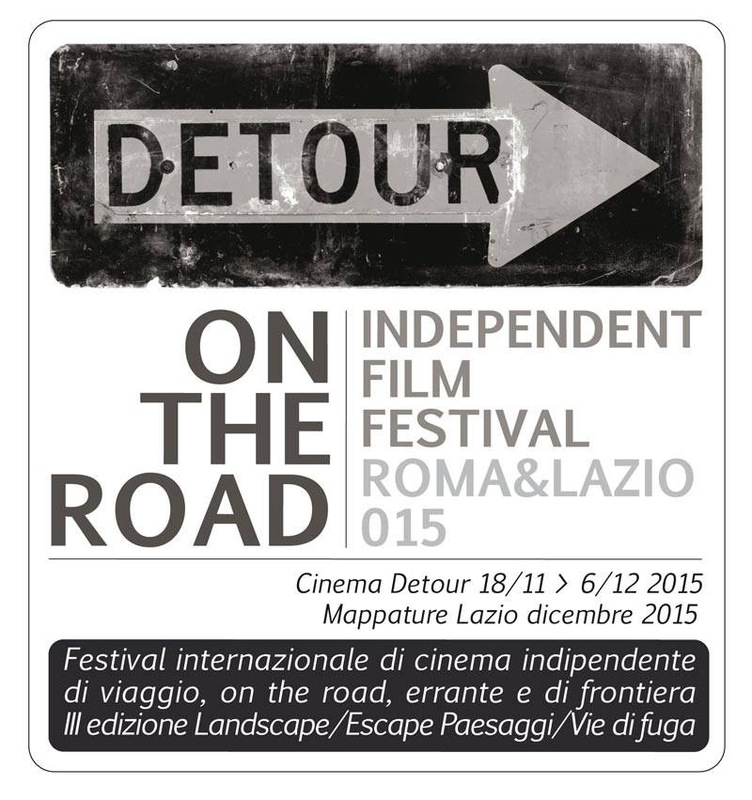 We are pleased to announce that film “Solar Love” (2015) is Award winner in the section of Experimental Cinema of “DETOUR ON THE ROAD FILM FESTIVAL 2015”, Cineclub Detour (Roma, Italy). Edition – Landscape / Escape. Landscapes / Escape routes. International festival of independent cinema on the road, wandering and border, disorientation and drifts psychogeographic. An international independent film festival, both on the road and borderline. Errant images, displacements and Psychogeographical drifts. The cultural association DETOUR is active in Rome since 1997. It manages a screening room of more than seventy places in the historic center of the city, recently renovated and expanded, offering for its members an eclectic program of screenings and talks selecting cinema, music and theater, exhibition of visual art media, photography and painting, book presentations and cultural events in Rome and Lazio. The collective project of “HearteartH” will be presented to Barcelona, at the festival Cel·AV | vídeo a Konvent! On 18th, 19th and 20th September will be held the first edition of Cel·AV. A videoart festival organized by Konvent, the Contemporary Art Center of Central Catalonia specialized in new artistic languages and the relationship between culture and territory. The curators of HearteartH prepared a presentation of all the videos so far involved in the project, for the dissemination of video art and especially for Konvent. Videos from around the earth show the huge variety of sensibilities and techniques approaching the theme of HearteartH, and thus are employed to show our world. The peculiarity of this presentation is that there will be fragments of all the videos of the collective project so it is going to be an intense artistic mosaic, inciting to complete the visions on our own. Participating video- and sound artists: Pendar NasserSharif, Jean François Réveillard, ZIL & ZOY (Silke Kuhar & Zoy Winterstein), Tariq Abdus-Sabur, Juan Behrens, Sonia Laura Armaniaco aka §vonica, Ocadium, Sebastian Wiedemann, Max Cooper and Tom Hodge, Murat Sayginer, Shiri Malckin, Maria Felix Korporal, Astrid Astra Indricane, Rafael C Teles, Gianluca Shango Pellegrino, Lino Strangis, Volker Harrach, Larry Wang, Marcantonio Lunardi, Kent Tate, Bob Peterson, Marzena Brandt, Viviana Boscardin, Edoardo Pistolesi Somigli, Duo Strangloscope (Cláudia Cárdenas & Rafael Schlichting), Rolandson, Myriam Thyes, Michael Gaddini, Maria Gill, Jumbo Pimp, Cristina Pavesi, Fred L’Epee, Marta Moretto, Brian Kane, Nicholas Miller, Sylvia Toy St. Louis, Libera Mazzoleni, Mark Tholander, Pinina Podestà, Eija Temisevä, Maria Takeuchi, Francisco Orallo, Yvana Samandova and Borjan Zarevski, Katya Sanna, claRa apaRicio yoldi, B K, Cavestar, Pèninsolar, Michael König. 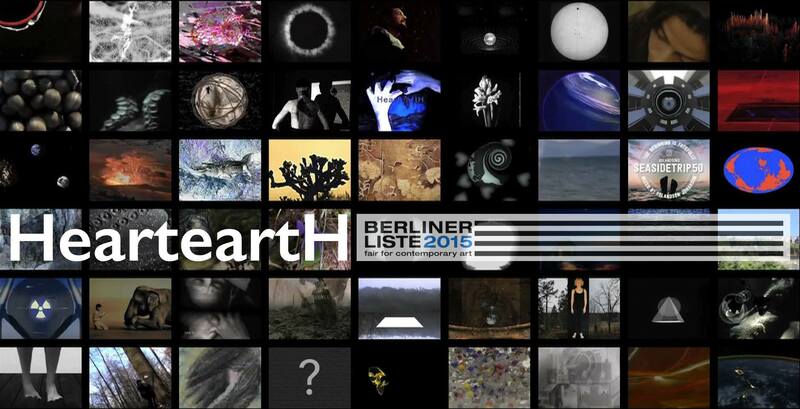 The collective project “HearteartH” will be presented at the Berliner Liste – Fair for Contemporary Art in the suggestive building of the old Heizkraftwerk (thermal power station) in the Köpenicker Straße, Berlin. The virtual video-wall with all the works for the project received so far will be shown in loop during the 5 days of the art fair, in the stand of the Medienwerkstatt. Participating video and sound artists: Pendar NasserSharif, Jean François Réveillard, Silke Kuhar aka ZIL, Tariq Abdus-Sabur, Juan Behrens, Sonia Laura Armaniaco aka §vonica, Ocadium, Sebastian Wiedemann, Max Cooper and Tom Hodge, Murat Sayginer, Shiri Malckin, Maria Felix Korporal, Astrid Astra Indricane, Rafael C Teles, Gianluca Shango Pellegrino, Lino Strangis, Volker Harrach, Larry Wang, Marcantonio Lunardi, Kent Tate, Bob Peterson, Marzena Brandt, Viviana Boscardin, Edoardo Pistolesi Somigli, Duo Strangloscope (Cláudia Cárdenas & Rafael Schlichting), Rolandson, Myriam Thyes, Michael Gaddini, Maria Gill, Jumbo Pimp, Cristina Pavesi, Fred L’Epee, Marta Moretto, Brian Kane, Nicholas Miller, Sylvia Toy St. Louis, Libera Mazzoleni, Mark Tholander, Pinina Podestà, Eija Temisevä, Maria Takeuchi, Francisco Orallo, Yvana Samandova and Borjan Zarevski, Katya Sanna, claRa apaRicio yoldi, B K, Cavestar, Pèninsolar, Michael König.